. Published on Friday, October 24, 2014 . Now that the Bronco Recreation and Intramural Complex (BRIC, Bldg. 42) has opened, many students can’t help but get on a fitness-kick. To help assist you in your fitness endeavors try some of these very useful fitness applications. Preva will help you get focused by setting a weekly fitness goal. 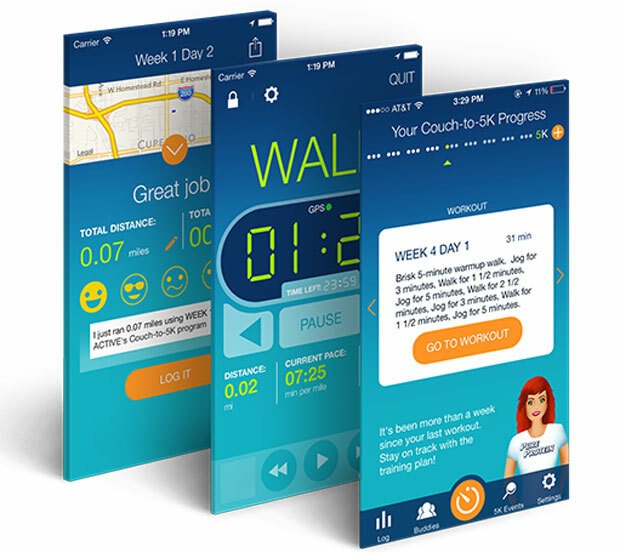 The system tracks your progress as duration, distance or calories. Stay active and on track and capture all of your other fitness activities on the go, every workout counts. Your workouts are stored in the cloud. 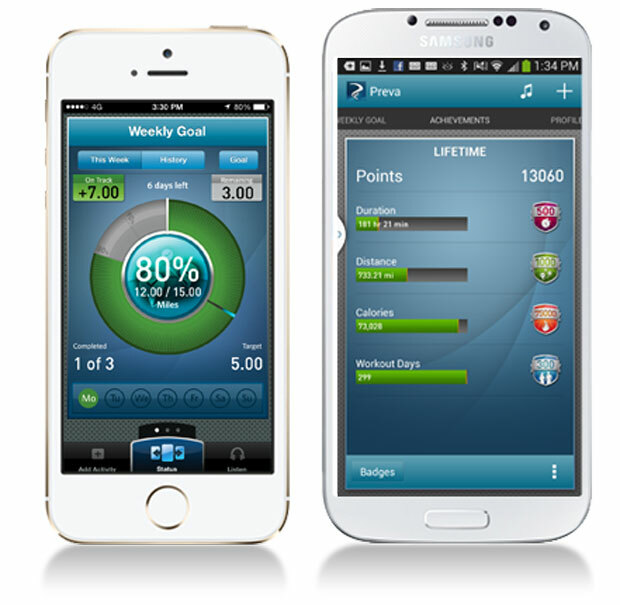 You can track your progress on Precor fitness equipment and the Preva mobile app. Get motivated, as your lifetime totals add up. This is not your average stationary bike!! On the Expresso HD bikes you will experience full virtual reality as you ride through over 40 different worlds ranging from a one mile speed course to a twenty mile mountain climb. The internet-connected bike tracks your progress automatically as you become stronger and more healthy. Expresso even helps you stay motivated by riding against your past “ghosts” or challenging your friends “ghosts.” For every ride you complete, your race becomes a ghost rider that will show up the next time you ride that course. Make sure to visit expresso.net to set up your account so you can see your name in the leader board at the end of the race. I stay motivated by trying to compete against our very own CPP Campus Recreation Fitness Coordinator, A’Naja Bass in the brand new Dragon fit. Dragon fit is a sort of mini-game that is similar to Mario Kart Coin Runners. In Dragon fit you collect a colored coin and then track down a dragon with a matching color. Different colored dragons have different point values. This is a fun way to get your cardio in if you don’t like following a trail! This app is exactly what the title describes. The training plan is designed by Active.com trainers and uses interval training (a combination of alternating walking and jogging) to prepare to run a 5k. You can choose from four different motivating virtual coaches—Johnny Dead, Constance, Billie or Sergeant Block. The trainers have real-human audio cues to guide you through each workout, and you can still listen to your favorite playlists with the in-app music player. Calculate your distance and pace, and map your routes with FREE GPS support. The app logs your workouts, and you can even share your progress on Facebook and get support from the largest running community on Active.com Trainer. Repeat workouts and track your best performance. If you want to compare distance and pace, you can see graphs for workouts, too. And if you’re running on a treadmill, the app allows manual entry of workouts. Jefit offers customization for the casual gym goer to the most active individual. Containing over 1300+ exercises, the Jefit exercise database provides animations and detailed information about each exercise. If you’re a more advanced fitness enthusiast, you can create personalized workout programs to push you towards your fitness goals and keep you motivated. 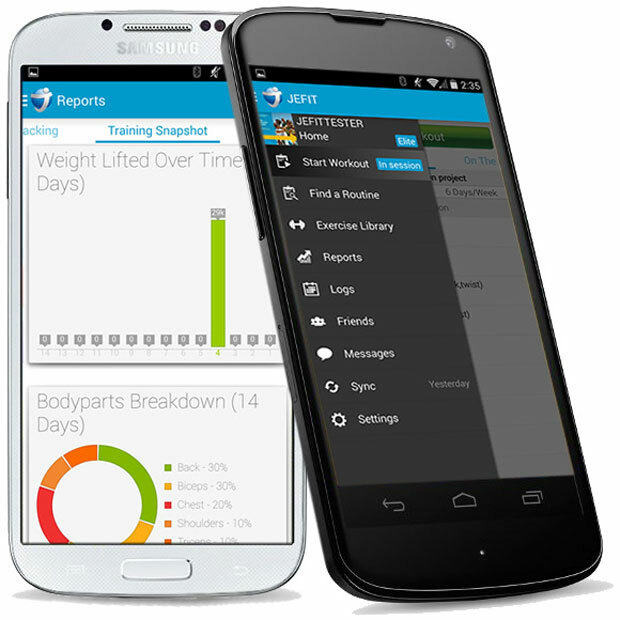 As with most fitness apps now, Jefit software syncs your data from the server to your account and apps. Access your workout data anytime, anywhere. If you want help managing your diet, this app has the largest food database of any iPhone calorie counter – over 4 million foods and growing daily. This app has the easiest and fastest food entry that remembers your favorites, adds multiple foods at once, and allows you to save and add entire meals. 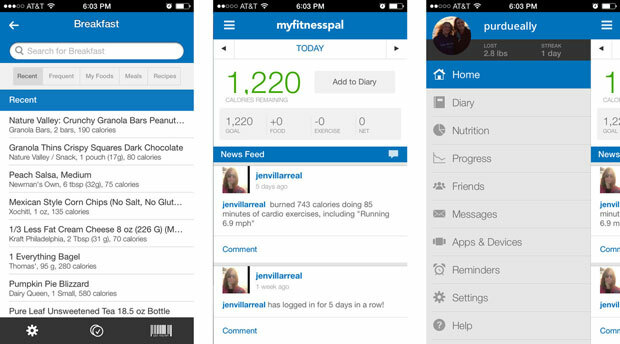 MyFitnessPal fully syncs with the web, so you can log from your computer or your phone. You can add friends and easily track and support each other’s progress. If you’re an Apple user you can sync your meal summaries, weight and exercises to HealthKit. My favorite feature is the barcode scanner that easily lets you find a food’s match in their database. You can also enter your own recipes and calculate their nutritional contents. The app has over 350 exercises, and you can track both cardio and strength training, including sets, reps and weight/rep. Have any other awesome apps designed to keep you fit and healthy? Let us know about it using the hashtag, #CampusCropChat on Facebook, Twitter and Instagram!